Skylarâ€™s death came not at the end, after a long fulfilling existence, not in the middle, as a result of an untimely tragic eventâ€”but at the beginning, with her birth. As a final effort to save her dying unborn child, Skylarâ€™s pregnant mother, a witch, sacrificed herself by invoking a powerful spirit shade to inhabit Skylarâ€™s body, imbuing her with life. 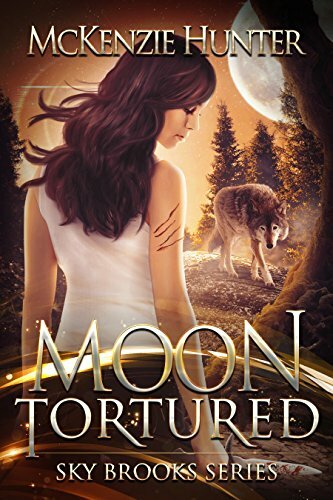 For twenty-three years, Skylar lived a life of oblivion, content with her simple job, loving adoptive mother and the monthly inconvenience of a full moon hangover after being sedated and caged when she changed into a wolf. It wasnâ€™t exciting but it was her life until one night, she woke up in a strange room in the middle of rural Illinoisâ€”bruised and with jumbled memories of her motherâ€™s death from a vampire attack. The Midwest pack comes to her rescue. Known for being more ruthless than altruistic she doesnâ€™t know if she can trust them. But after an assassination attempt by a necromancer, an abduction attempt by a mercenary, and more aggressive and violent attacks by the vampires, she has no other choice but to accept their help. The Midwest pack quickly discover that Skylar is the host to a spirit shade, who gives her magical abilities, that make her as much of a danger as an asset and that she is the key to the vampiresâ€™ plan to perform a ritual that will give them unrestricted power. Tension rises as the pack become divided between those who think her life is worth protecting as a potential ally and those who believe she is too dangerous to live. In the end, Skylar finds herself fighting for her lifeâ€”a life that may be tragically taken too soon.